Why did glaciers miss one small corner of the Midwest, even though they covered all of the area around it? Have your teacher download the lesson guide below. 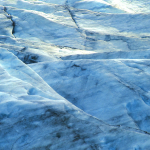 It will provide activities to directly demonstrate how glaciers move and give discussion topics to help you understand the mysteries of the driftless. 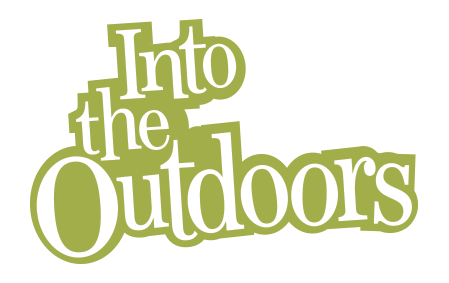 Ideas to further educational opportunities are mentioned in the lesson guide as well. Don’t pull a glacier and miss this driftless content. How would you decode this earth science mystery? Geo-scientists ran into a glacial mystery when their mapping of glacial material called “drift” revealed an area in western Wisconsin that didn’t have any glacial drift material. They named the place the driftless area. But what really made this driftless area such a mystery was that the entire area of 15,000 square miles was surrounded by drift. 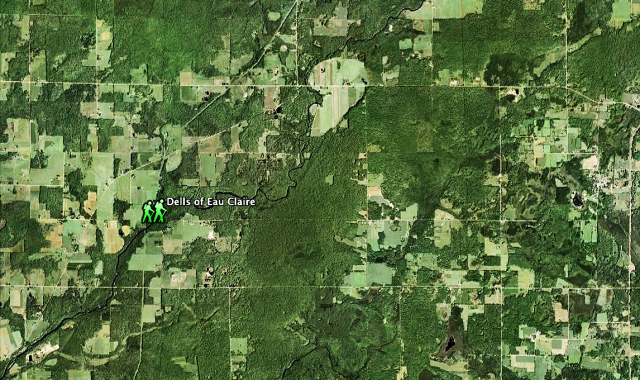 This meant that glaciers went entirely around the driftless area but didn’t cover it. Are you kidding? How was that possible? To find out some of this mystery, watch this video. To really “get with the drift” of what happened here over the past 2.5 million years, take this learning adventure into your classroom, have your teacher download the free Lesson Activity at the bottom of this page so everyone can share in the fun of this inquiry based learning. Okay, here’s the deal. When glaciers advanced across Wisconsin, they reshaped much of the landscape. The thick ice carried boulders, sand, and gravel as it advanced. And when it finally melted and retreated, it left behind all that material. Scientists called it “glacial drift.” This glacial drift of sand, gravel, rocks and boulders covers the ground where the glaciers once were. Earth scientists map areas where this drift is present to recreate the history of glacial activity. To get the rest of the this story, click “Learn More” below here. Or, if you have the time, also watch the amazing half-hour Emmy-winning documentary from our educational buddies at Untamed Science on “Mysteries of The Driftless”. Just click on the movie in the upper right window. We bet you a bag of popcorn that you don’t “drift off” while watching it! These educational partners supported the video and lesson content here for all of us to learn from. They also offer lots of other learning opportunities on their websites. So check them out! Besides being driftless, this area reveals what the Wisconsin landscape was like before glaciation. Because it wasn’t filled in and reshaped by glaciers, the driftless area has deep cut river valleys, such as the Kickapoo, and rugged rock bluffs near La Crosse. (To see more of this cool landscape, watch the “Amazing Eco-Trek Race” video on this website). The lack of glacial drift and the ancient landscape here are clues to geologists that the glaciers somehow missed this area, yet surrounded it. So how do scientists explain what happened here? Like figuring out most scientific mysteries, it required research and investigation. Glacial scientists used a number of things to help figure out the mystery of Wisconsin’s driftless area. 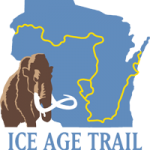 Well first, they studied maps and soil samples to figure out that there were at least four major periods when glaciers advanced across Wisconsin. The first began over two million years ago and the last one retreated about 12,000 years ago. 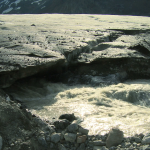 By studying glacial features such as moraines, they also realized that the glaciers didn’t advance as one big ice sheet with a flat front from north to sound. Instead, they discovered that the ice flowed in many “lobes” that slowly followed ancient valleys in many different directions. 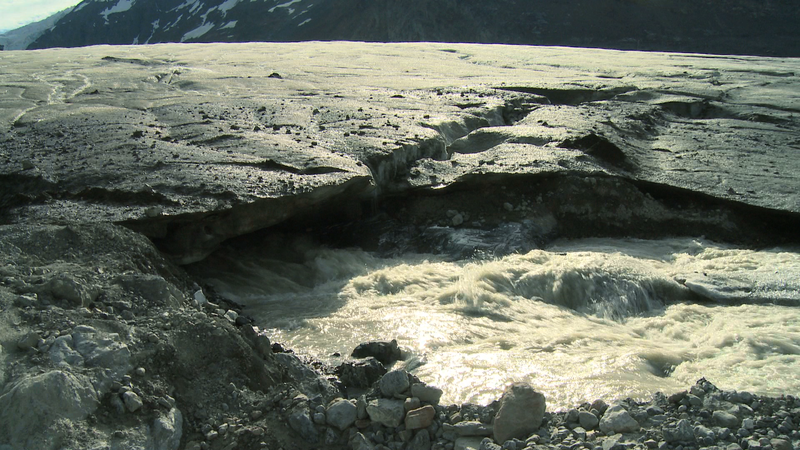 To get an idea of how these glaciers flowed in lobes, try this experiment. Mix ice and water in a blender until it’s the consistency of a slushy. Then pour it in on uneven ground. Watch how it forms lobes that flow into the lower places. 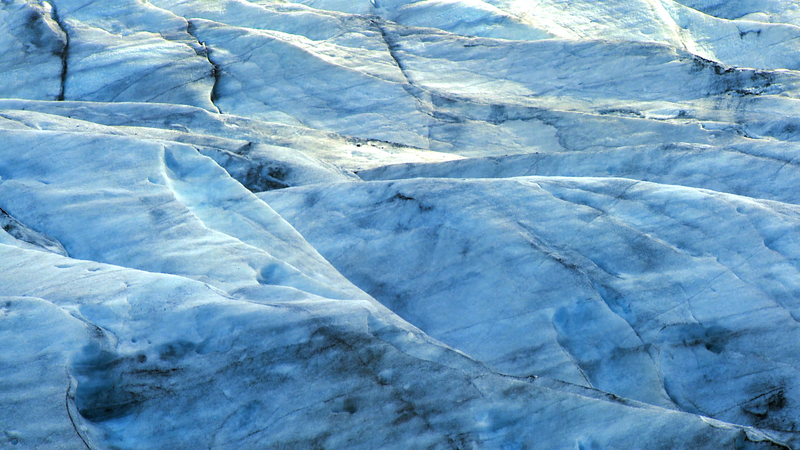 Of course glacial ice was over a thousand feet thick which made it flow slowly like plastic. Knowing that the glaciers flowed in irregular lobes in different directions, and that there were four different times when glaciers flowed across Wisconsin, scientists began assembling clues to the mystery of the driftless. The final piece to their puzzle was figuring out the ages of the drift surrounding the driftless. Scientists used geologic dating techniques to determine that the drift surrounding the driftless area was deposited during different glacial periods. That meant that some of the drift was deposited on one side during one period while other drift was deposited during other times. So instead of one ice sheet surrounding the driftless area at one time, they realized that drift left by many different glaciers only made it appear that way. Ah ha, mystery solved – almost. That made scientists ask more interesting questions – such as why did the ice flow around the driftless area during all four periods of glaciation? Instead of studying soil samples, they took to the skies. They studied satellite photos and topographic maps that showed the topography or shape of the landscape. By looking at Wisconsin from a satellite view, they saw how the depressions made by the Great Lakes and Wisconsin rivers caused the different ice lobes to change direction and somehow miss the driftless area. So once scientists figured out the mystery of what caused the driftless area, they job was over, right? Not quite. When they began exploring within the driftless area, they discovered more mysteries in the creatures that lived there. Because this area had escaped the crushing and reshaping effects of glaciers for two million years, it contained rare species of plants and animals from before the ice age. 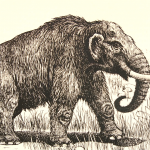 From fossils, they found that wooly mammoths and mastodons had once lived there. And when they looked closer, they found tiny ice age creatures in the form of rare snails. Like so many things in science, each new discovery lead to more questions. Now scientists are studying the many creatures and fossils that exist in the driftless area. You can join in exploring these mysteries by doing some research online. Simply do a search for “driftless area” and discover the rare biology and geology of the area. Then plan a trip with your family to visit and explore the area. Maybe someday you can become a scientist to help discover more answers to the mysteries of the driftless area… and ask new important questions. • The earth is still "rebounding" or reshaping from the weight of the last mile-thick glaciers that covered the Midwest 13,000 years ago. No, you can't feel it but scientists can measure it. 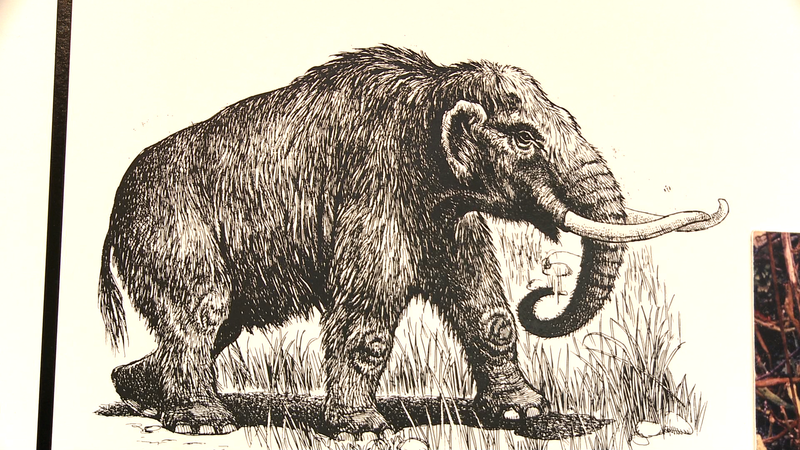 • When the glaciers retreated, North America had all kinds of "cool" creatures that roamed the landscape. So what happened to all the mammoths, mastadons, cave bears, sloths, dire wolves, giant beavers and other ice age creatures?